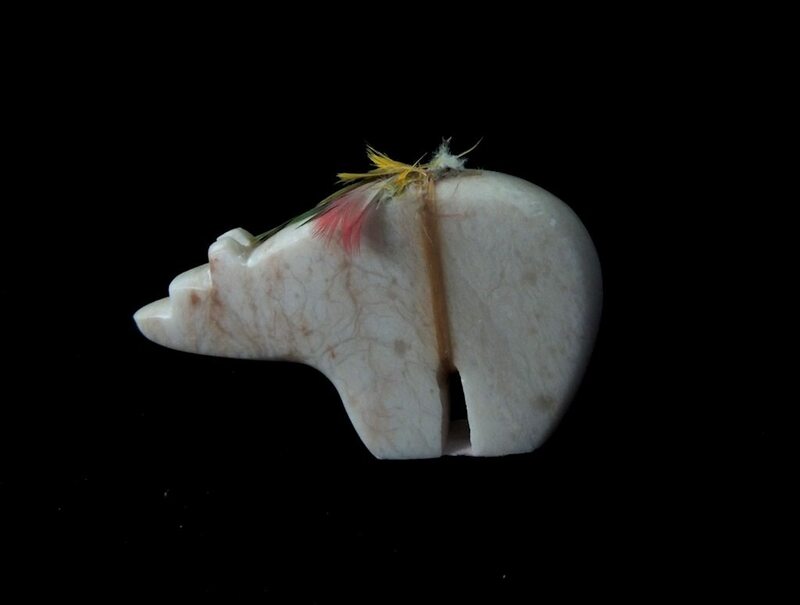 Pink Alabaster Hump-Backed Medicine Bear Fetish. $75. 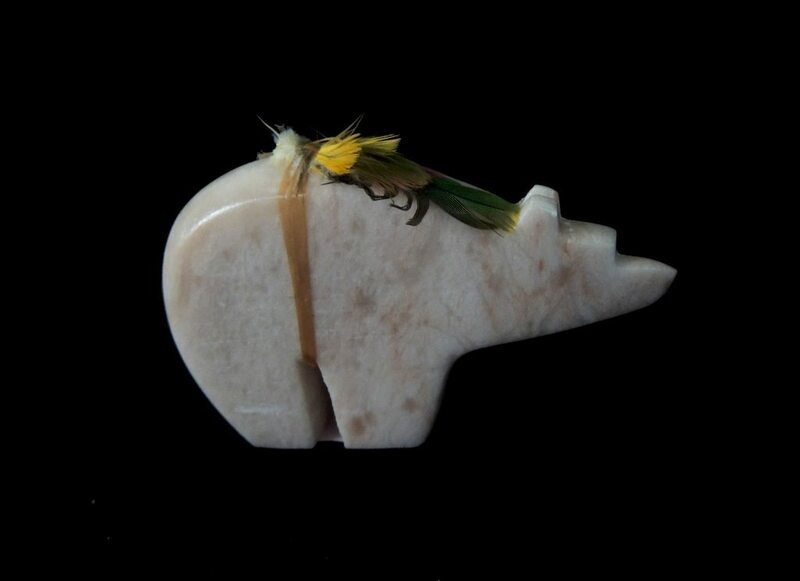 This classic little Southwestern-style hump-backed bear is rendered in pink alabaster by Ned Archuleta (Taos Pueblo). The bear’s clean, spare lines allow the cool beauty of the stone’s matrix to take center stage. His only accent is a tiny offering bundle of colorful parakeet feathers, tied on with sinew. Three inches long, he stands 1-7/8″ high (dimensions approximate). Another view is shown below. Posted on Sunday, October 19th, 2014 at 8:00 pm. Filed under: Fetishes	RSS 2.0 feed.